Tolkien’s brother Hilary was born 120 years ago today. To mark the occasion, I reproduce here my review of Black and White Ogre Country, a book of his jotted reminiscences covering their childhood, the storied world as they imagined it, and Hilary’s later years. I would add here that the value of the book is borne out by Tolkien’s comment, in the letter I discussed in my last post, that “most of the Shire [was] derived from childhood”. I once again thank Troels Forchhammer (author of the excellent resource/review blog Parma-kenta) for drawing that comment to my attention. When he died in 1976, Hilary Arthur Reuel Tolkien left a small notebook containing jottings about his childhood with his famous brother and his own later life. 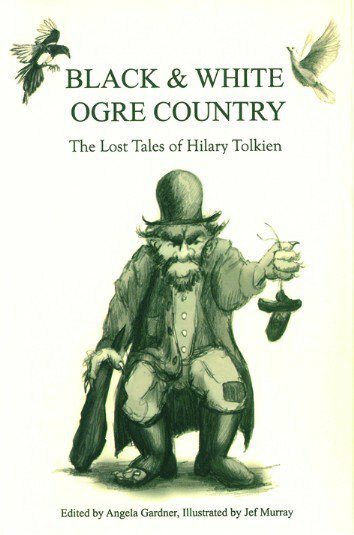 This is the core of Black and White Ogre Country: The Lost Tales of Hilary Tolkien. It is brief, bulked out by the addition of Jef Murray’s lively illustrations and a “short biography” with photographs and pictures by and of Hilary, but it still makes for a very slim volume. So what do these “Lost Tales” comprise, and why should we care about them? The first section, “Bumble Dell”, describes the small world of the boys, with its mills and its “Ogres”—the irate landowners who chase and terrify them. The second, “Black and White Witches”, tells of a woman who can turn you into a lump of stone and another who is kindly and dispenses sweets from her shop. Then, under the heading of “Other Stories”, an undifferentiated series of reminiscences runs from childhood all the way to the Second World War, with descriptions of acquaintances and pets, a haunted house, Hilary’s time in the trenches, and his fruit farm in the Vale of Evesham. In fact the “tales”—probably jotted down late in Hilary’s life in response to questions from his brother’s biographer, Humphrey Carpenter—are barely narratives at all. Rather they are long-preserved memories distilled as a sequence of small, bright and disconnected miniatures. The book’s subtitle, evoking The Book of Lost Tales, is primarily a practical choice that will help sales. Yet it also rightly points to a kinship—like an acorn’s to a full-grown tree—between H.A.R. 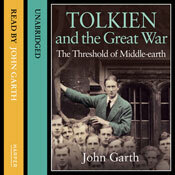 Tolkien’s account of his childhood world and J.R.R. 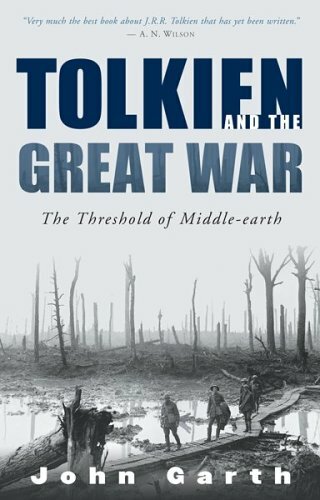 Tolkien’s fully-fledged subcreation. The make-believe doubtless reflects Ronald’s input as well as Hilary’s: children’s play is collaborative, and an elder brother could be assumed naturally to take the lead, especially if he was later to become a byname for the power of the imagination. We also have Carpenter’s word (presumably from Hilary himself) that it was Ronald who named the flour-dusted young miller at Sarehole “the White Ogre”. Arguably this makes these writings as valuable as any straightforward memoir. When we look for illumination of the mind behind The Lord of the Rings and The Silmarillion, it is the imaginative life itself that we strive to grasp, even when we try to catch it in a net of biographical detail. The way Hilary’s writings turn fact into fantasy should be borne in mind by anyone debating how far JRRT’s inspiration lay in lived experience. Immediately we are plunged into the dilemmas that loom large in a child’s mind. You go paddling, then the Man takes your shoes away as some kind of punishment, so you either face him to get them back, or go home without them—and either way you get a thrashing. It is a world where justice and injustice seem equally severe and equally opaque. It is a timeless childhood world of small ambit, filled with diurnal or seasonal joys and terrors: a world of habits … one is tempted to say of hobbits. For the late 19th-century rural environment is entirely in accord with the world of Sam Gamgee, and Hilary’s voice is as wryly and lightly humorous as Shire-talk. The Tolkien brothers inhabit this world in person, making whistles out of reeds as Sméagol’s gentler kin would have done on the marges of the Gladden Fields. Nature is a source of comfort, delight, temptation, peril and even protection (in the form of a swan that routs an irate park keeper). The hazards are Shire-sized: drowning in the mill-pond and being chased by angry adults. The ogres of the title are a farmer and a miller not far removed from Maggot and Ted Sandyman. A Black Witch adds a dash of occult darkness and provides the final component to make the first few pages of Hilary’s narrative a kind of prototype of the hobbits’ journey from Bag End to Buckland. I am left reflecting that The Lord of the Rings is Tolkien’s most truthful work, rooted as it is in a version of his own childhood shire, Warwickshire, the standard against which all the marvels and sorrow that come later are gauged. Even Sauron the Great himself may be foreshadowed here—as a cat. Sauron, you will remember, evolved from Tevildo, Melko’s demonic cat servant in the whimsical first “Tale of Tinúviel”. In Hilary’s jottings we encounter the bad Black Witch’s “even worse black cat”, Black Angel, devourer of sardine sandwiches wrongfully wrested from small boys. Against the evil enchantress and her cat, in a classic Tolkienian dualism, are ranged a White Witch with a white cat and a dog—called Moses not Huan but equally capable of seeing off monstrous little felines. Another cat mentioned later (this one is Hilary’s own) is called Satan. It seems the boys shared a tendency to identify cats with devilry, also seen later in Tolkien’s story of Queen Berúthiel. This is a bygone era, with trips to church by pony and cart. Trains are curiosities and cars, when they finally appear, merely amuse in their tendency to break down or fall apart. But the coming age of machines, with its drive for innovation, efficiency, speed, and lucre, sounds the death knell of the boys’ world as Bumble Dell is filled in: “The Great Western Railway filled in our Bumble Dell in order to get from Brum to London quicker than the other railways…”. “Slowly the country of Black and White Ogre and Black and White Witch was in danger of disappearing altogether.” Here Hilary’s elegiac words parallel those of the Foreword to the Second Edition of The Lord of the Rings: “The country in which I lived in childhood was being shabbily destroyed before I was ten, in days when motor-cars were rare objects (I had never seen one) and men were still building suburban railways. Recently I saw in a paper a picture of the last decrepitude of the once thriving corn-mill beside its pool that long ago seemed to me so important.” Ogre Country is long gone and “might as well have never been there, for it is almost demolished”, Hilary writes—but (just like parts of his brother’s legendarium) this sparkling little book preserves some of its spirit. There is no mention of school, which seems to have made as little mark on Hilary as he made on it (the King Edward’s School Chronicle, which has plenty of references to his big brother, ignores him until after his schooldays are finished). From boyhood games in the woods the narrative leaps to 1914, and war. Hilary’s account of his military service is brief and humorous in a typically British way, cutting vast terrors down to a manageable size. The Second World War is signalled by the military planes overhead, the soldiers eating Hilary’s plums from their helmets, and the smell of cordite drifting in from bomb-blasted Coventry. In between the wars, Hilary’s early years setting up as a farmer are recounted as a nostalgic idyll. “Is anything as beautiful for anyone now?” he asks. The rather vague disconnectedness of all this, though tantalising in the extreme, also adds to the poignancy. Past history has the quality of legend, in the shape of an oak tree Charles II hid in, or a witness to the Crimean War, or a dog named Lord Roberts of Kandahar. A foreshortening of the view in retrospect, together with the lack of dates and detailed reference points, makes for a sense of a life lived in reverie. Unsurprisingly, we read in the short biography at the back of the book that Hilary’s family saw him as “a dreamy child, who preferred being outside to doing his school work”. The biographical section also includes a number of previously unseen images: a strikingly beautiful studio photograph of their mother Mabel; a shot of Hilary home from war but still in his army uniform; camera portraits of him and his wife Magdalen; and a couple of family pictures showing JRRT. There is also a vibrant, naive depiction of a cottage by Hilary, who evidently shared his brother’s delight in painting and drawing. Undoubtedly the best aspects of editor Angela Gardner’s potted biography are the excerpts from original letters, notably one in which J.R.R. Tolkien describes how he had managed to expunge November the Fifth of its anti-Catholicism by making it a winter’s-onset festival and part of “a ‘continuous birthday’ jamboree” for his sons (all born between October 22 and November 21). Black and White Ogre Country deserves a place alongside Priscilla and John Tolkien’s 1992 book The Tolkien Family Album as an intimate look at J.R.R. Tolkien’s life and world from a close family member. Review first published in issue 48 of the Tolkien Society journal Mallorn, in October 2009. 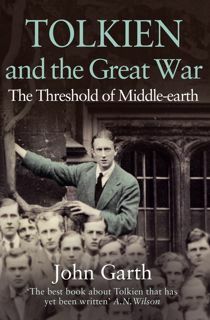 I have edited it to reflect the fact that a full biography of Hilary Tolkien, which had been planned at the time, has since been withdrawn from publication. This entry was posted in 100 years of Middle-earth and tagged Hilary Tolkien, Tolkien's family, Tolkien's life, Tolkien's writing. Bookmark the permalink.